Canoeing at B-Active@RhoscolynCanoeingBActive offers a wide range of kayaking and sea-kayaking opportunities whether you are looking to try kayaking for the first time or to develop your skills we have something for everyone. BActive offers introductory sessions for children, families and groups of all kinds. We also offer Introduction to sea kayaking and BCU skills courses. 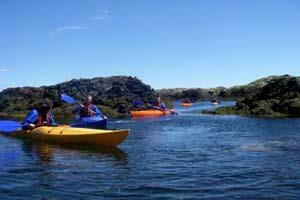 B-Active@Rhoscolyn is an outdoor activity provider run by Andy Short on the Isle of Anglesey, North Wales specialising is Kayaking, Sea Kayaking and Canoeing for novices and improvers.